The Hoosiers sure know how to write a good chorus. That’s obvious to anyone who’s listened to the band’s previous two albums. Now, dropping the cartoonish style of their debut and the electro touches of its underrated follow-up, ‘The News from Nowhere’ sees the band growing up a little with an album of solid guitar-pop. Having departed from their label back in 2011, this album is self-released and marks a fresh and more serious start. Not that they’ve ditched their pop roots. ‘The News from Nowhere’ boasts some incredibly catchy chorus hooks – in particular lead single and opening track Somewhere in the Distance, that lurches from its soft pre-chorus to a funky chorus of noodling guitars and rhythmic riffs. It’s followed by the sparse sound of Make or Break – You Gotta Know that similarly morphs into an upbeat, sing-along chorus. Then there’s Fidget Brain, Rocket Star and even ballad My Last Fight – each track is clean, simple and instantly appealing, stripping away the trite trappings of the band’s early days whilst losing none of their personality. ‘The News from Nowhere’ is a slightly mixed bag, however. Towards the end the album begins to lose its way with some tracks that don’t quite hit the same chorus highs compared to earlier tracks. The absence of the synths – so prominent in the band’s second offering – also suggests a lack of sparkle. Instead, the focus predominantly on guitars feels like a safer route and a step backwards – like a poppier version of The Feeling, or a more serious Scouting For Girls. 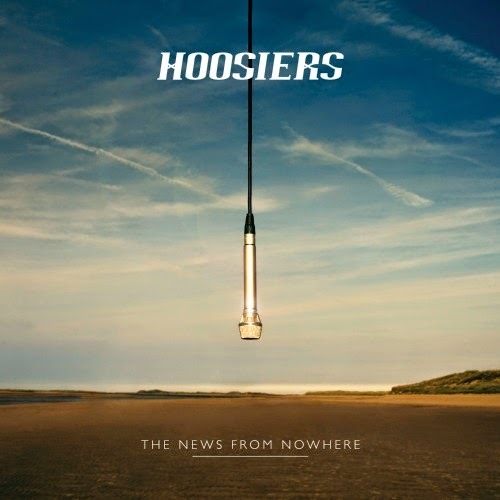 No matter how catchy those choruses, ‘The News from Nowhere’ could well be too little too late for the band who clearly have talent but have been somewhat shunned by the mainstream. I for one am still very worried about Ray. Listen: ‘The News from Nowehere’ is available now.